Diabetes is a chronic disease. This means that it lasts for a long time, often for someone's whole life. For our bodies to work properly we need to convert glucose (sugar) from food into energy. A hormone called insulin is essential for the conversion of glucose into energy. In people with diabetes, insulin is no longer produced or not produced in sufficient amounts by the body. 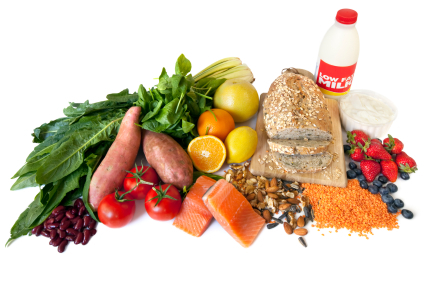 So when people with diabetes eat glucose, which is in foods such as breads, cereals, fruit and starchy vegetables, legumes, milk, yoghurt and sweets, it can’t be converted into energy. Instead of being turned into energy the glucose stays in the blood. 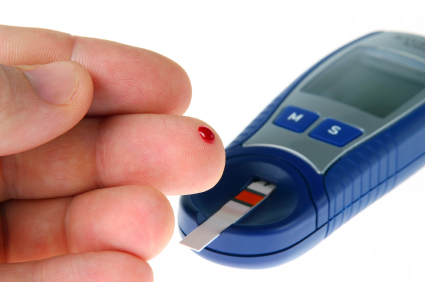 This is why blood glucose levels are higher in people with diabetes. Glucose is carried around your body in your blood. Your blood glucose level is called glycaemia. In Australia, nearly two thirds of men and half of all women are overweight or obese. This is a key factor in the alarming rise of type 2 diabetes. Yet up to 60 per cent of diabetes cases could be prevented, or at least delayed, by people maintaining a healthy weight. The main keys to long-term weight loss and reducing your waist measurement are healthy eating and regular physical activity. A key component of the Commonwealth Government's Prevention of Type 2 Diabetes Program, is the ability for a General Practitioner (GP) to refer eligible patients to accredited, subsidised Lifestyle Modification Program (LMPs) to prevent, or delay, the onset of type 2 diabetes. These Lifestyle Modification Plans will typically be a series of group education and motivation sessions supporting lifestyle change. Lifestyle Modification Plans need to ensure they meet the draft standards for lifestyle modification programs for people at risk of type 2 diabetes, and be awarded accreditation before they can start delivering services. How long is a Lifestyle Modification Program? Lifestyle Modification Programs must be structured in accordance with the draft national standards. These standards require an Lifestyle Modification Program to run for a least six months, with an initial intensive phase of at least four months. Must have scored 12 or greater on the Australian type 2 diabetes risk assessment (Ausdrisk) tool.